Shortly after the first Spider-Man movie came out in 2002 I had the fortunate opportunity to work with John Romita on a Flash Gordon strip (more about that later). 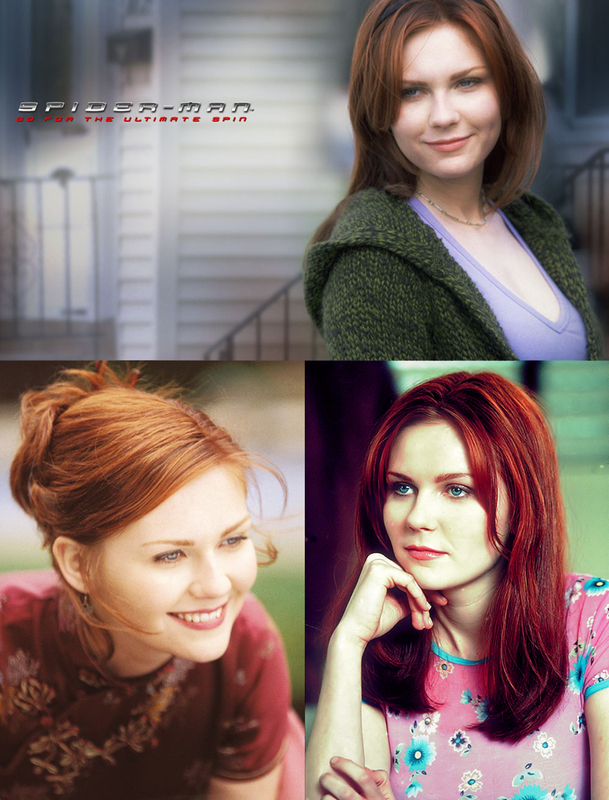 One of the things he really took pride in regarding that first Spider-Man film was the prominent role Mary Jane had. 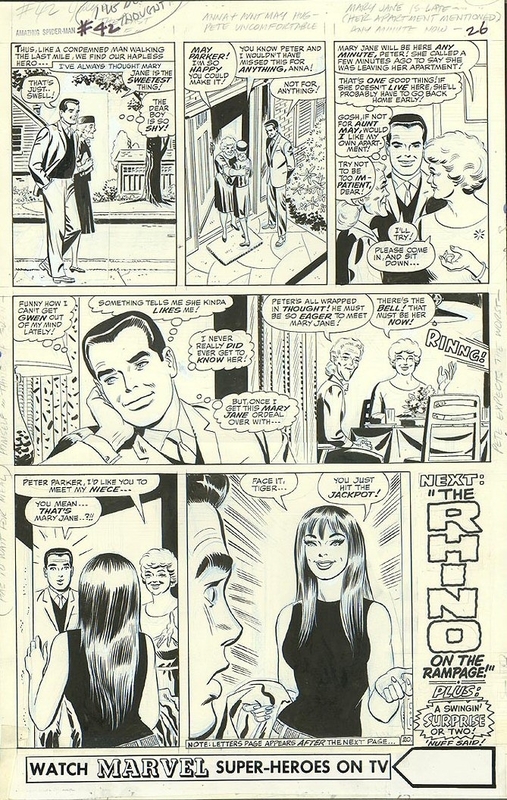 Romita did so as he was the one who created her in the comic book. The character had been alluded to during Steve Ditko’s run, but Romita gave her life. Here’s John Romita talking about his inspiration for Mary Jane. The clip is from the 1992 series Comic Book Greats with Stan Lee. This particular episode focuses on the Romitas – Junior and Senior. Note: Inserts from “Bye Bye Birdie” and Romita’s original art were not in the original version. 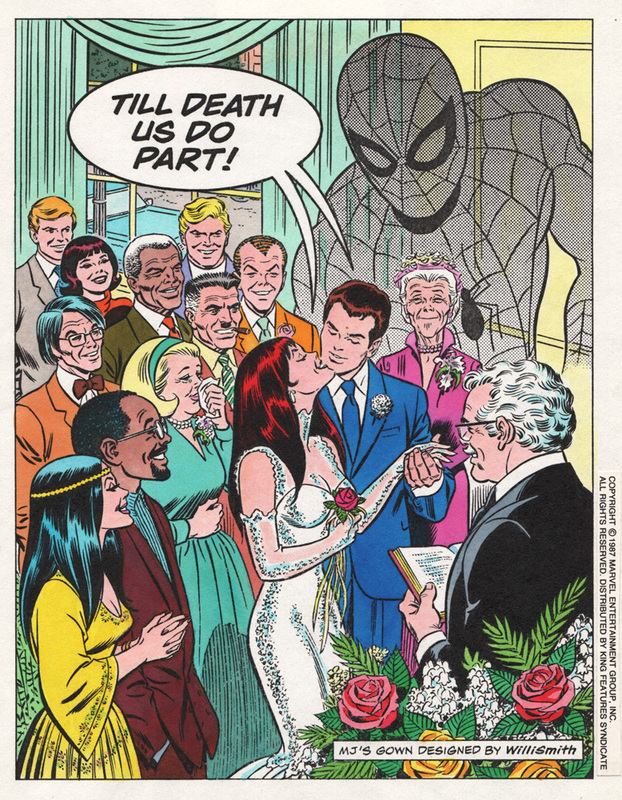 Promo piece done by Romita for Peter Parker and Mary Jane’s wedding – 1987. During his three decade tenure at Marvel Comics, John Romita would be a guiding force – drawing and/or designing almost every major character. The best cartoonists are the ones who introduce characters that set the standard for the ones to follow – one of John Romita’s is Mary Jane Watson. 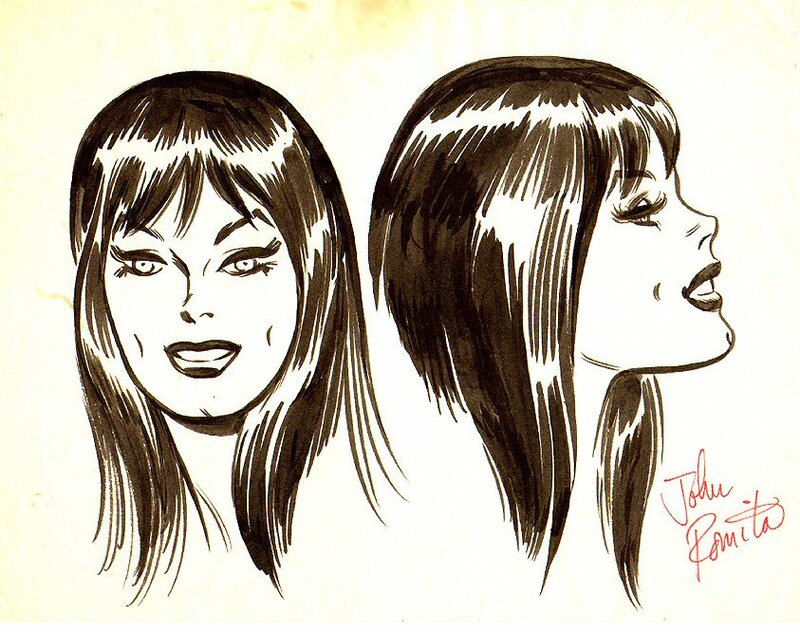 John Romita’s model sheet for Mary Jane. This entry was posted in John Romita and tagged John Romita, Mary Jane, Spider-Man. Bookmark the permalink. Many thanks. Romita is the gold standard as far as I’m concerned.